Do not attempt to charge these batteries using chargers for nickel based batteries or any charger not specifically designed for rechargeable lithium technology. This cell is manufactured for use in a battery pack assembly. It is not intended for use without a protection circuit. For equipment designed to use individual cells a protection circuit can be incorporated. MI's current range of protected lithium ion cells can be viewed on this page. Single unprotected cells are available to recognised customers. An indemnity waiver may be required for supply to take place. For safety information please read this safety precaution. 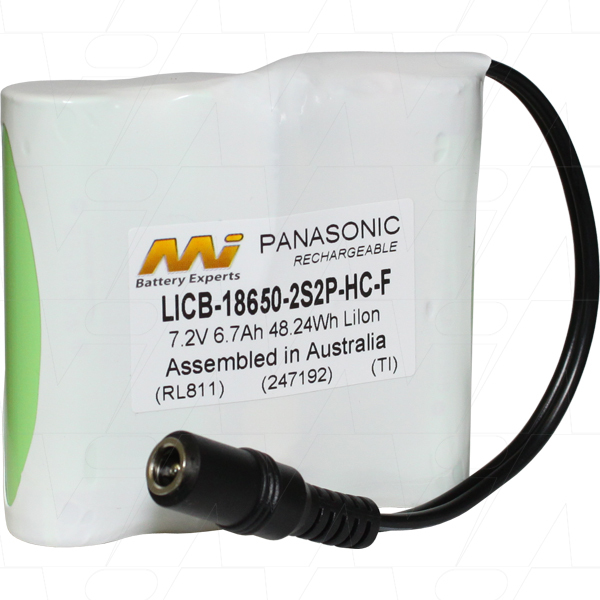 Lithium ion cells can be assembled into single or multi-cell battery packs by authorised pack assembly centres such as our company that have been approved for safety circuit assembly and Lithium Ion pack design. For battery pack design enquiries please contact us with your requirements. If you already have some parameters please click here for a Battery Application work sheet & email it to us. For full specifications and a 2DD depiction of the product on this page please click on the datasheet links at the bottom of the text fields.